I have listed a new property at 6816 TODERICK ST in Vancouver. Please visit our Open House at 6816 TODERICK ST in Vancouver. Please visit our Open House at 404 6963 VICTORIA DR in Vancouver. Welcome to your new home! This well appointed top floor, 1 bedroom, plus den home with in suite laundry is ideal for the discerning buyer. This unit is facing off the street so it is quiet and provides nice views toward Richmond. Easy access to shopping and public transportation to air port, Downtown, Metrotown, and Richmond. Highlights of this wonderful home are the laminate floors, bonus den, gas fireplace, and plenty of in suite storage. Open house Saturday, June 7 & Sunday June 8 1-3pm. I have listed a new property at 404 6963 VICTORIA DR in Vancouver. Please visit our Open House at 2220 53RD AVE E in Vancouver. Very quiet location in Prime Killarney area. 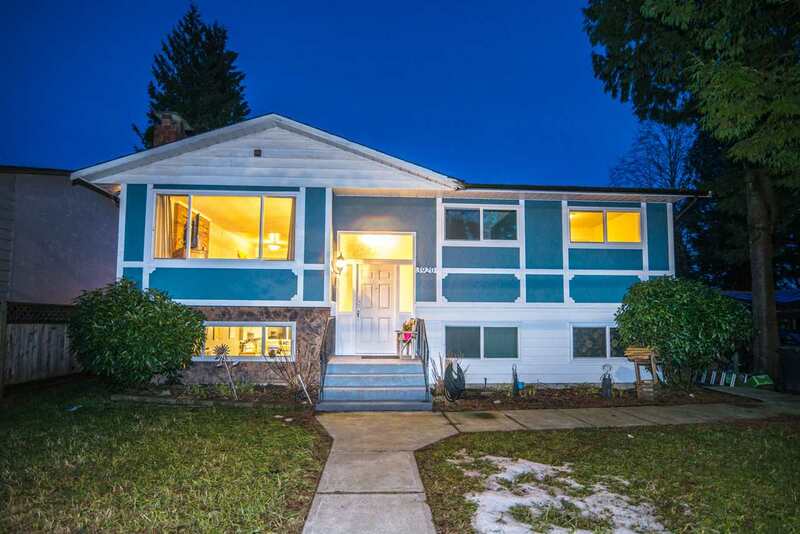 This home is a 52 year old Vancouver special with 3 bedrooms up and 2 bedrooms down. Live in, rent out or build a beautiful home and laneway home with the very desirable back lane access. Only a 6 minute walk to David Thompson High School and a 5 minute walk to Sir Charles Kingsford-Smith Elementary. Close to shopping, schools and transit. An excellent investment. Want a home close to all areas of Vancouver - then this home is for you. I have listed a new property at 2220 53RD AVE E in Vancouver. I have listed a new property at 2600 49TH AVE E in Vancouver. Attention Developers this is an opportunity you don't want to miss! 60 UNITS For sale on OVER 2 ACRES of land in the Victoria/Fraserview Area currently Zoned CD-1 (7B) Part of the East side with a population of over 28,000 (2011) and lies in the far southeast corner of the city. It is on the south slope of the ridge that rises above the Fraser River & contains a collection of single-family residences with a few multi-family homes as well as the townhouses and high-rises of the Fraserlands development along the river. The Killarney area was one of the last portions of Vancouver to be developed & with this opportunity on one of the best locations bring your ideas to rezone this amazing property. Located right across the street from Killarney Centre. Transit right out front! Call or email agent. Please visit our Open House at 203 5625 SENLAC ST in Vancouver. Welcome to KILLARNEY VILLA! Centrally located this bright and spacious 3 BDRM, 3 BATH Townhouse offers over 1400 sq ft of living space in a well laid, open floor plan. Close to shopping (Safeway, London Drugs), transit (Joyce Skytrain), parks (Central Park) and schools (Sir Guy Carleton Elementary, Killarney Secondary). This upper unit offer a LARGE living room w/ a GAS fireplace that flows into your open kitchen w/ breakfast bar and eating area. Upstairs you have a BIG master bdrm w/ a full ENSUITE, 2 more bdrms and another full bath. Great INVESTMENT, currently tenanted. Comes with secure underground PARKING & STORAGE. Call today for viewing! OPEN HOUSE: Sunday Sept 25, 2-4pm. I have listed a new property at 203 5625 SENLAC ST in Vancouver. Welcome to KILLARNEY VILLA! Centrally located this bright and spacious 3 BDRM, 3 BATH Townhouse offers over 1400 sq ft of living space in a well laid, open floor plan. Close to shopping (Safeway, London Drugs), transit (Joyce Skytrain), parks (Central Park) and schools (Sir Guy Carleton Elementary, Killarney Secondary). This upper unit offer a LARGE living room w/ a GAS fireplace that flows into your open kitchen w/ breakfast bar and eating area. Upstairs you have a BIG master bdrm w/ a full ENSUITE, 2 more bdrms and another full bath. Great INVESTMENT, currently tenanted. Comes with secure underground PARKING & STORAGE. Call today for viewing! I have sold a property at 207 5625 SENLAC ST in Vancouver. Welcome to KILLARNEY VILLA! Centrally located this bright and spacious 3 BDRM, 3 BATH Townhouse offers over 1445 sq ft of living space in a well laid, open floor plan. Close to shopping (Safeway, London Drugs), transit (Joyce Skytrain), parks (Central Park) and schools (Sir Guy Carleton Elementary, Killarney Secondary). This CORNER UNIT offer a LARGE living room w/ a GAS fireplace that flows into your open kitchen w/ breakfast bar and eating area. Upstairs you have BIG master bdrm w/ a full ENSUITE, 2 more bdrms and another full bath. Great INVESTMENT, currently tenanted for $2100 per month. Comes with secure underground PARKING & STORAGE. Call today for viewing! Please visit our Open House at 207 5625 SENLAC ST in Vancouver. I have listed a new property at 207 5625 SENLAC ST in Vancouver. I have sold a property at 6695 CLARENDON ST in Vancouver. Please visit our Open House at 6695 CLARENDON ST in Vancouver. Home owner or investor alert! Very solid home is desirable Killarney area, corner lot with 42x116.3 with lane access, step to elementary school and minutes drive ro Killarney Secondary School. 3 bedrooms up, 2 bedroom suite and bachelorsuite down. Recent years updates includes newer metal roof, double glazed window, hardwood floor on main, kitchen and bathroom. Very good investment property with potential rental income over $3400/month or build your own home here. Open House Feb 14 between 3-5pm.